Sorry for the bloggy silence. I don’t know if I’ve shared this before, I can’t remember, but I have been working on a book! 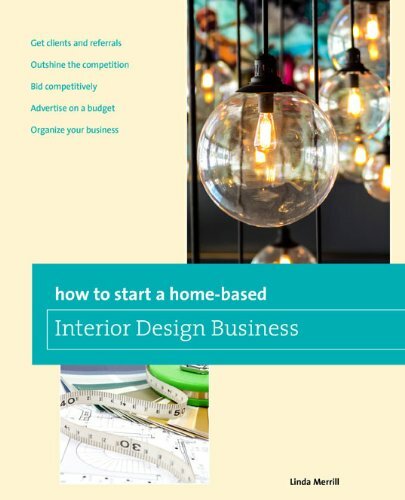 I was hired to do the 6th edition revision and update for the longstanding book “How to Start a Home Based Interior Design Business” published by Globe Pequot Press. I believe I’d bought the 2nd edition back when I opened my business in 2002. Anyway, it’s a handy “how-to” manual, one of a long list of similar books for various industries. Today was my submission deadline and I just sent it in an hour ago! What a relief. With everything else going on – selling my family house, moving and decorating my new house, not to mention keeping Mr. RoyRoy sane and entertained through it all – I’ve had a lot on my plate. Thank God for friends is all I can say! I just found this on Amazon, it’s already available for pre-order and the pub date is January 2015. I’m not sure if this is the final cover art – I was hoping for my own work on the cover… But it’s pretty.